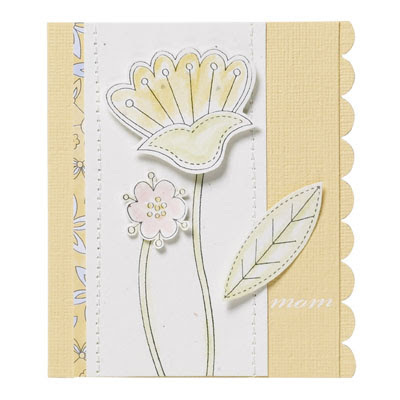 Craftin' Caro: Textured Cardstock sample - part 1 - Happy Mothers Day! Textured Cardstock sample - part 1 - Happy Mothers Day! Happy Mom's Day! If the weather holds, I'm off to CentreVille with the monsters today, who don't care that it's too cold to go -- they just want to anyhow! So today you get the first of some Textured cardstock samples, being as it's on sale this month as part of the "Buy 3, Get 1 FREE" promotion.